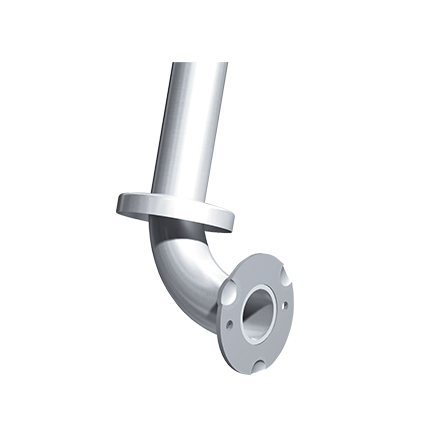 Features include cover that snaps over mounting flange dimples to conceal screws and concealed mounting flange of 3-1/8″ (79 mm) O.D. diameter with 2 screw holes and 3 locking dimples; 1/8″ (3 mm) thick, type 304 stainless steel. Cover is type 304 stainless steel with a satin finish and 22 gauge, 3-3/16″ (81 mm) diameter. 1 1/2″ (38 mm) O.D.